A nice filet of salmon with some vegetables is the perfect paleo meal. 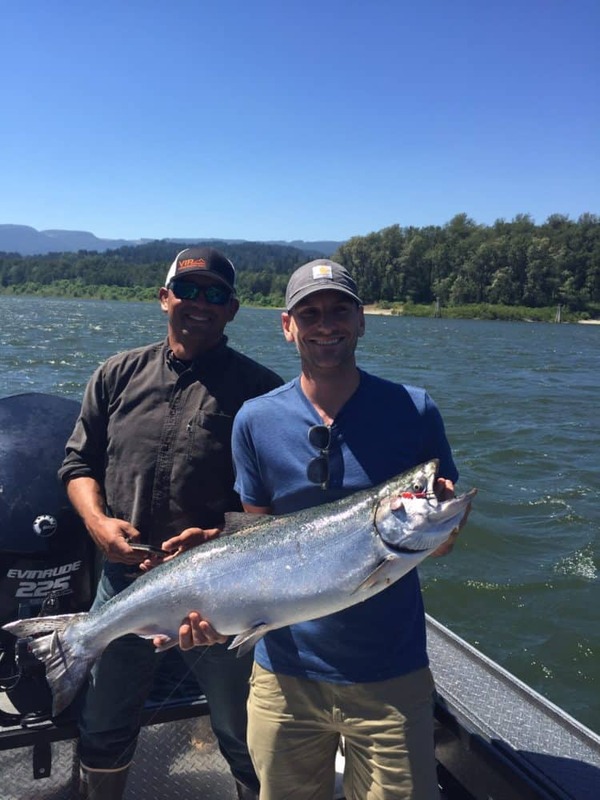 It’s hard to beat the flavor and health benefits of this magnificent fish. Plus, you get bonus points and it even tastes better if you catch it yourself. 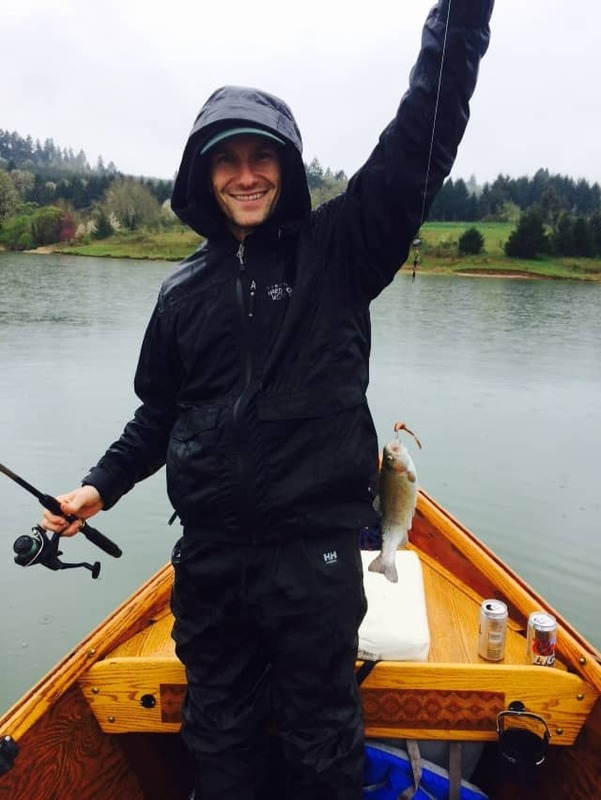 Full disclosure here – I love to fish but when I actually want to catch something I go out with a guide. Fortunately for us we had good luck on a guided trip recently with my friend Pro at VIP outdoors and now we have some fresh salmon to eat. For proof that I caught this myself, here I am with my big catch! Just for comparison (and a good laugh), this is what I catch when I go fishing without a guide. Okay, now on to the important stuff. 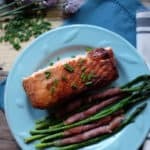 For this simple salmon recipe we used an easy marinade to give the salmon a little different flavor. With only four ingredients it adds an almost teriyaki-like flavor to the fish. Just whip it up, let it marinate and bake it in the oven. It’s as simple as that. If you really want to go all out like we did, pair it with prosciutto wrapped asparagus. To let the flavor soak in, marinate your salmon for a least an hour before cooking. Prepare the marinade by mixing all of the ingredients together in a ziplock bag or shallow pan. Combine the marinade with your salmon and let it sit in the fridge for an hour. Preheat your oven to 400 degrees and line a baking pan with aluminum foil for easy clean up. Place your salmon in the pan and bake it for 15-20 minutes, or until the salmon is flaky. 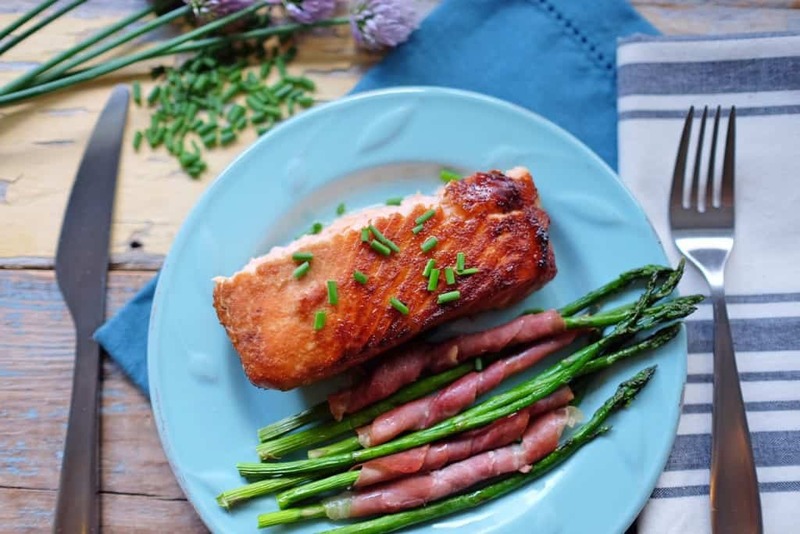 Try this out with a side of prosciutto wrapped asparagus for a tasty complete meal.